This week I was inspired by subtle spring colors and couldn't help but bring out the peach colored yarn I've had stashed on top of my drawer for the past few months. One of my friends' birthday was coming up and she loves very minimal, yet elegant styles. I got her this standard moleskin notebook, perfect for her sketches, and wrapped it in an untraditional style. Using just a small necklace gold chain, yarn, and a bit of tape you can ditch those boring store-bought wrapping bows and make a unique, long-lasting wrapping. What's best about it is you can wrap anything in it and in a variety of ways, check it out below! 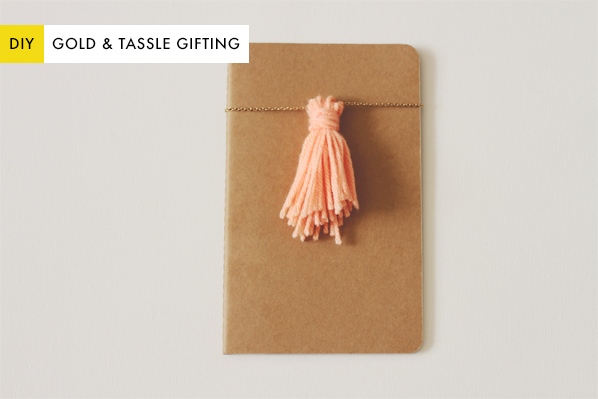 Making the tassel is so quick and yet such a more delightful look than a typical present bow. 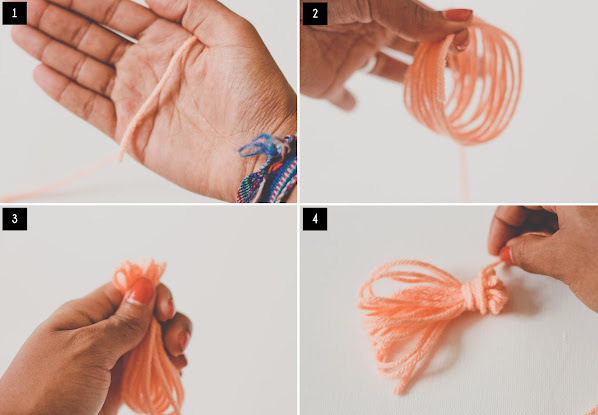 Simply wrap yarn around your palm (try using a variety of colors, too! ), then slide the wrapped yarn off your hand. Squeezing at the top, wrap the last strand of yarn around multiple times until you are pleased. Afterwards, cut the thread and tuck it into the wrapping (or glue it). 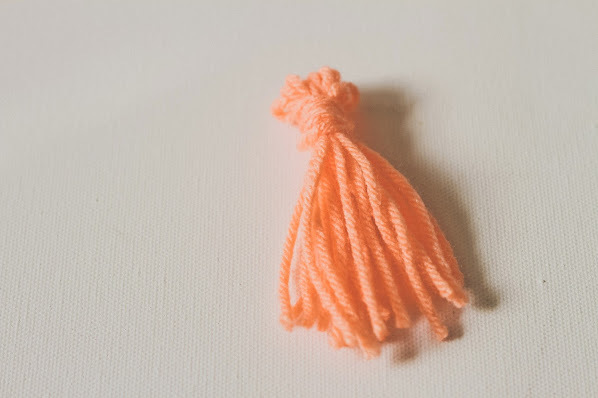 Then, cut the bottom of the circular yarn until it starts looking like the all wonderful tassel. Feel free to trim the bottom edges if they are uneven. 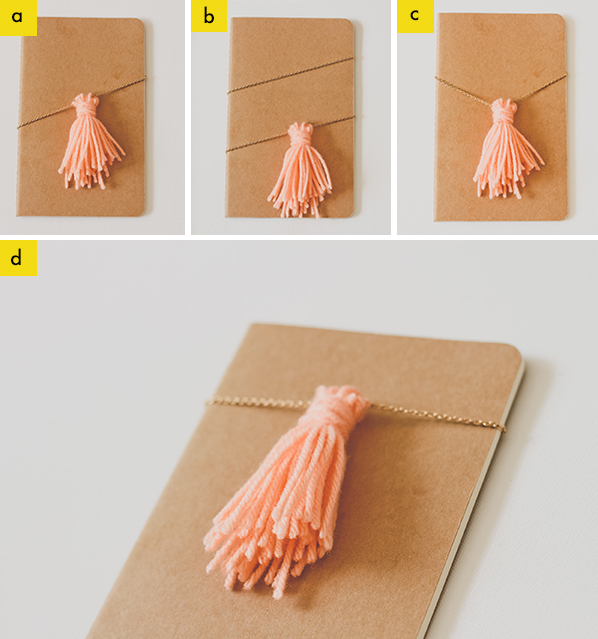 Next, carefully slide or thread the gold chain into the top of the tassel and wrap as desired across your gift. Simply tape the chain on the back (as this is what I did), so that the person can remove it and even wear it as a necklace or hang as decor! Sweeeet. This is super cute! And seems super easy, love it! This is really interesting information for me thanks for sharing.